As a developer, it’s always challenging to pick which hardware makes the most sense to invest your time and money in – will that hardware still be available when your product comes to market? Is it future proof? How can you ensure that your project won’t require a major rewrite every time you change hardware, especially when it comes to more unique or niche categories of hardware like depth cameras? Depth cameras are widely used in a variety of industries, but this technology continues to evolve and new devices hit the market regularly. A solution to the above problems is to use a common framework with a common structure that provides all the basic tools to work with different depth cameras. This is the problem solved by OpenNI2®. While OpenNI has stopped support for its OpenNI2 product, since this framework was designed to provide everything necessary for long use, it is still in demand and still useful to developers. For anyone who has been using OpenNI2 for their projects, Intel® RealSense™ Depth Cameras now offer OpenNI2 support. Using Intel® RealSense™ Depth cameras with OpenNI2, you retain all the advantages of the device, such as maximum range of distance, depth accuracy, frame-resolution and frame-rate of sensors. Using it in new projects will allow you to create a product that supports multiple different devices and thus, users. OpenNI is used for initialization of work with the library. It provides information about errors, version of the library, devices found. Device is a connected device. You can get information about the device or get video stream using this class. VideoStream is a stream from the sensor of the device, when reading from it you get a frame. VideoFrameRef is a frame captured by the sensor, is responsible for the matrix of data, the type of which depends on the type of video stream. 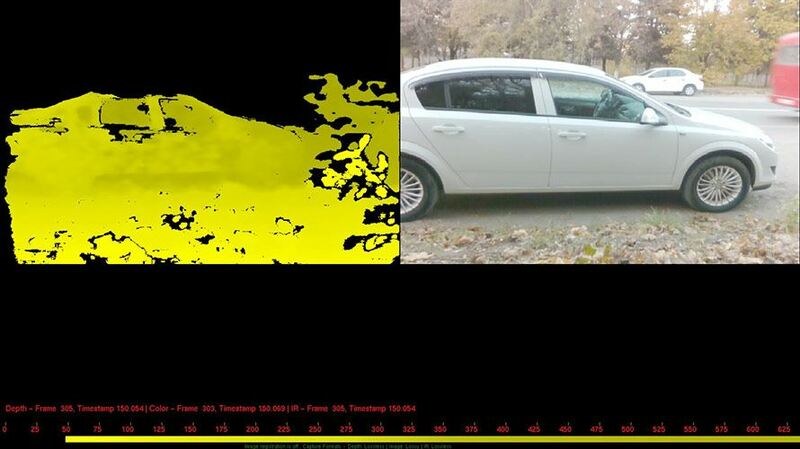 If it is taken from the depth sensor, then the data is the distance to the barrier in the space in front of the camera, if RGB or IR, then it is color description. After installing and configuring the OpenNI2 SDK, you can see all the features of the library using the NiViewer tool and explore the source code of several examples. All of this can be found in the OpenNI2 SDK directory. 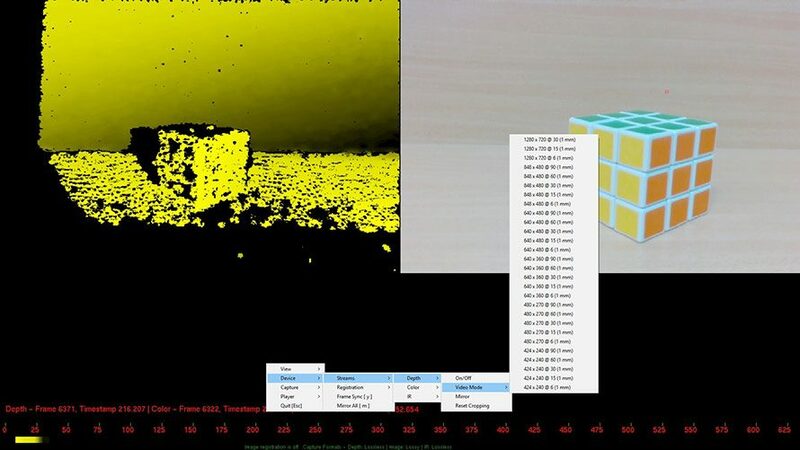 Using Intel® RealSense™ Depth Camera with NiViewer. All depth modes in NiViewer. There is a good Programmers Guide for OpenNI, in which each of the classes is well described thatwe recommend reading. 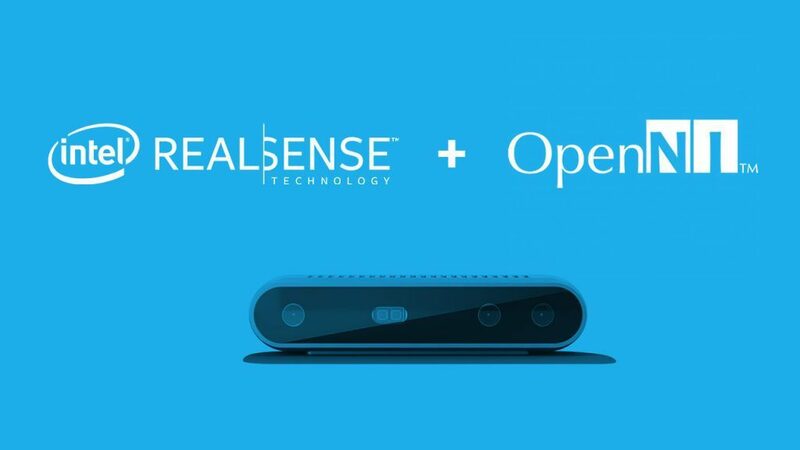 Get started working with Intel® RealSense™ Technology and OpenNI2 by visiting our GitHub.